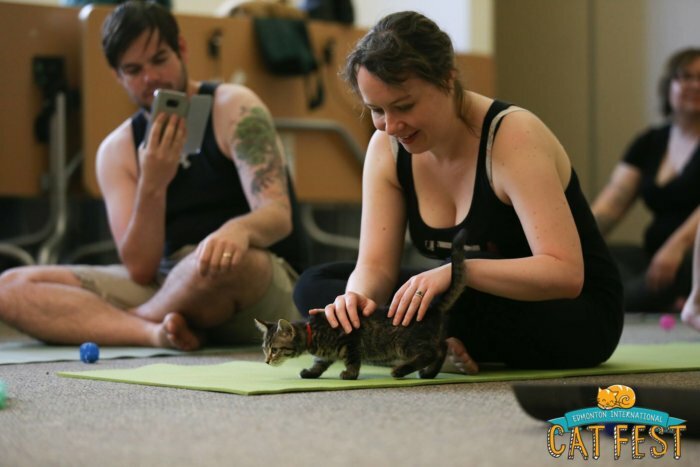 On June 1, 2019, we’re excited to offer CAT YOGA (/KITTEN YOGA) classes throughout the day, courtesy of Edmonton Yoga Instructor Bryanna Chan and the Greater Edmonton Animal Rescue Society (GEARS). Adoptable cats/kittens will be provided by GEARS, the Greater Animal Rescue Society (one of the festival’s supported rescues this year!) 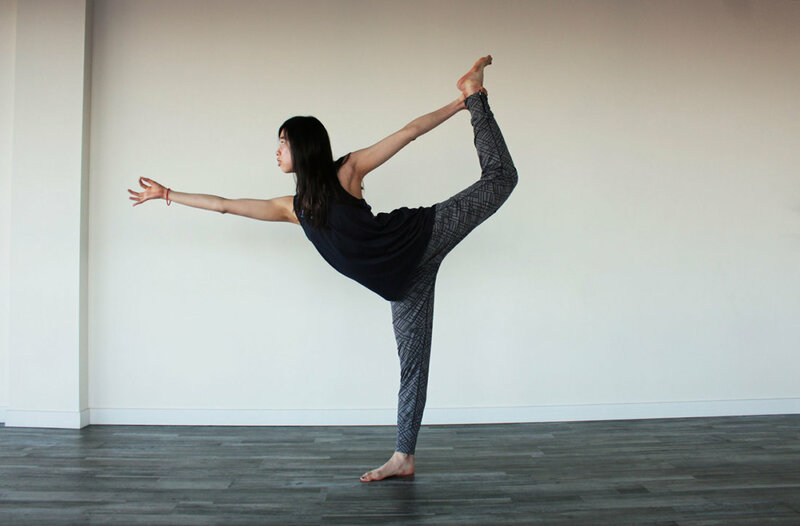 and yoga instruction will be presented by local yogi Bryanna Chan,. We’ll be releasing RSVP tickets via Eventbrite in early May (watch our social media channels for the ameowncement and links which we will also update on this post!) so you can secure your spot in the Cat Yoga Class. 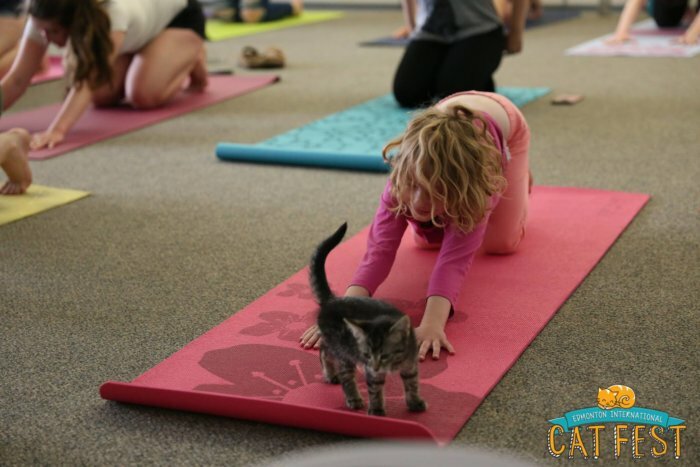 Cat Yoga Classes will run at 11:30 a.m., 1:30 p.m. and 3:30 p.m. for 45 minutes each. If purr-ticipating, please bring your own yoga mat and appropriate clothing. There are bathrooms to change at the venue. Please note a photography may be taking photos of the classes for promotional purposes. By attending, you are agreeing to be photographed. 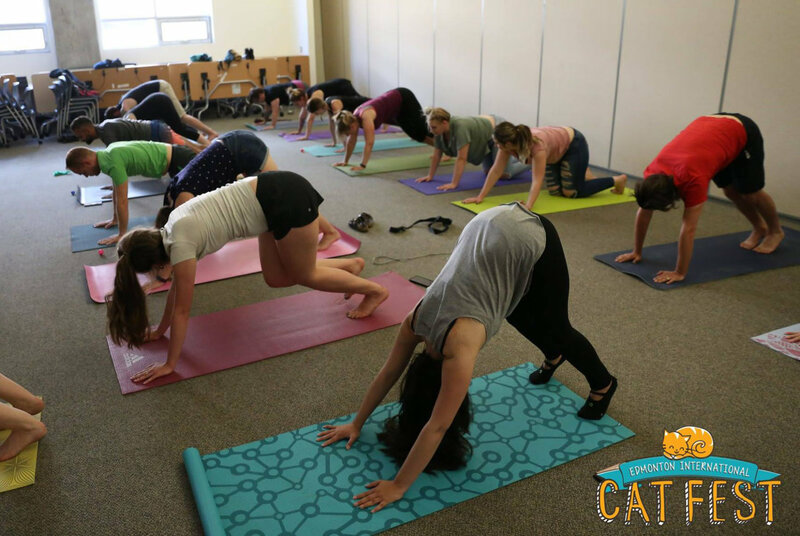 Remember to watch our social media channels for ameowncements and links to RSVP for cat yoga class tickets via Eventbrite in early May!